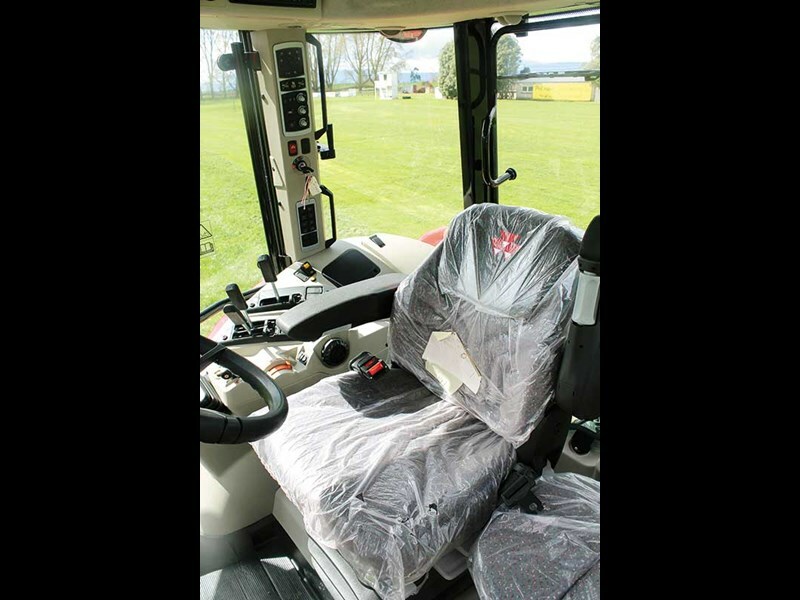 MARK FOUHY checks out the 5600 series from Massey Ferguson in New Zealand which continues on the company’s reputation for building strong, multi-purpose tractors ideal for any farm. Recently at a machinery demonstration day held by Matamata tractors at the Hinuera sports club, just south of Matamata, I had the opportunity to see whether the adventurous 5612 Massey could live up to the reputation of its distant predecessor, and more importantly, how it would suit todays modern, busy farmers and the benefits it has to offer them. The machine for testing was kitted up. 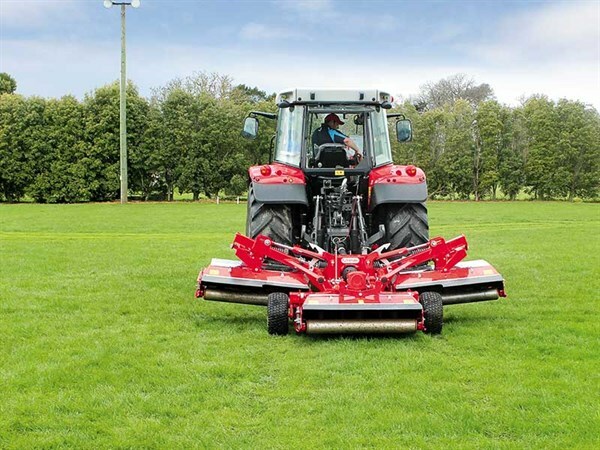 With a Massey Ferguson branded Stoll loader and Trimax mower, it was never going to be a challenge for the 120Hp 5612 Massey, the largest of the new 5600 series available on the day, but it is certainly my kind of lawn tractor. For the test I took along my Spanish visitor, Marti, who had not ever driven a tractor – this way we could really test the user-friendliness of the controls. 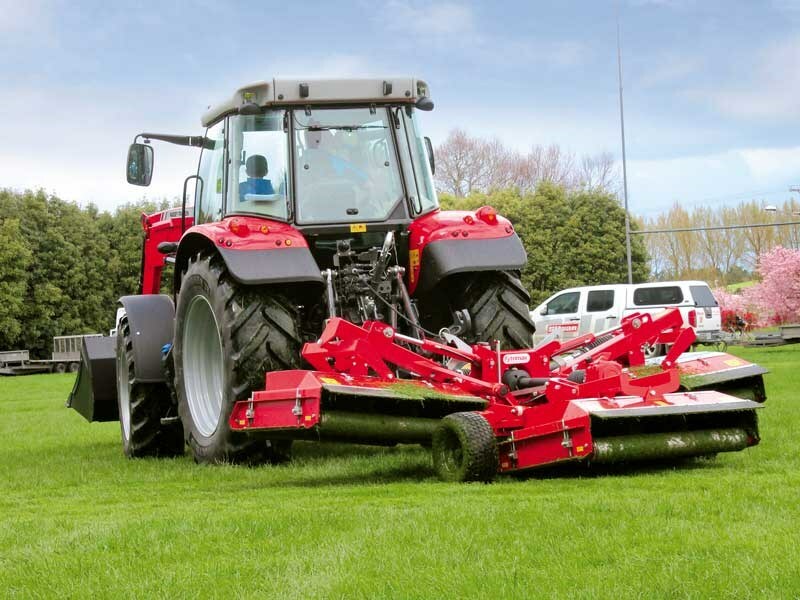 The two bigger models of the 5600 range receive a four cylinder AGCO power plant. One of the main differences over the three cylinder models is the addition of the Adblue tank and Diesel Oxidation Catalyst (DOC) to treat exhaust gases. 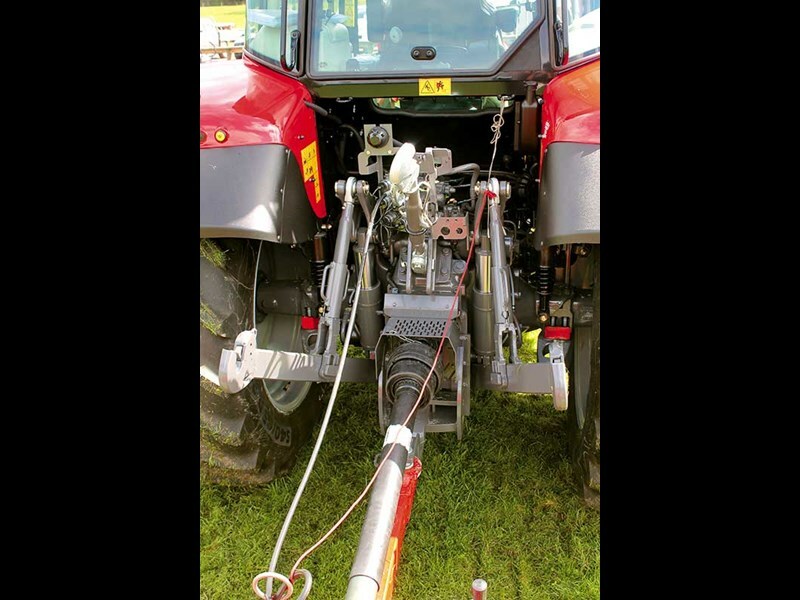 This has been added to keep these machines compliant with emissions legislation, particularly in Europe. 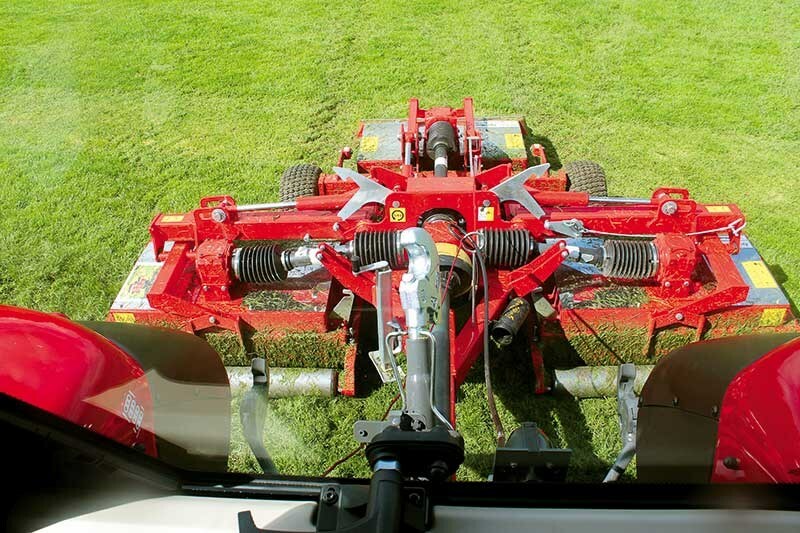 The added bonus for owners of these machines is the increased fuel efficiency. The 5611 and 5612 Masseys are available with either a Dyna 4 standard or optional Dyna 6 transmission, offering an extra two Power shifts in each range. My favourite feature of these Massey transmissions are the options you have for operation; for instance, you have multiple ways you can operate the clutch, either using the actual clutch pedal or the left-hand power shuttle/control lever, and when a Stoll loader (with Massey branding) is fitted you can use a button control on the loader joystick. 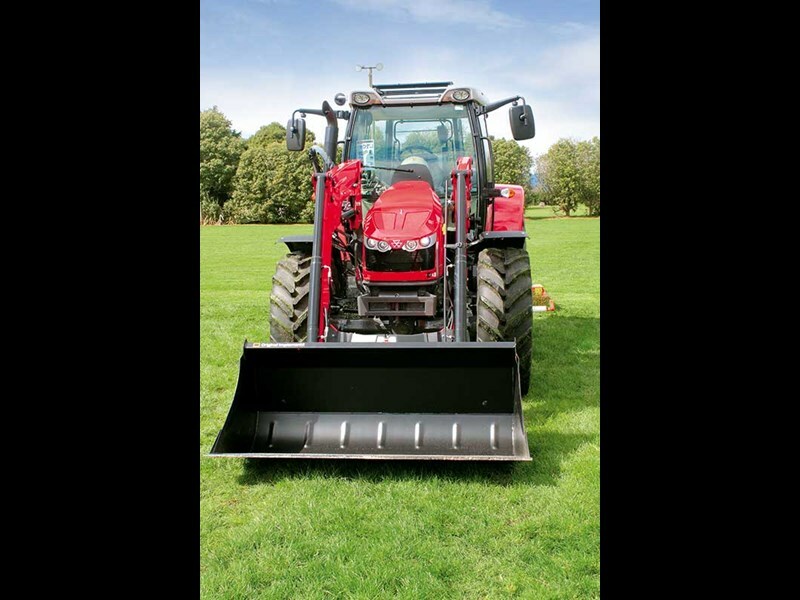 The tractor can be specced with a factory fitted Massey Ferguson loader if the customer requires and there is a 100L/min hydraulic system available as an option with up to four valves if needed. I thought the 5612’s cab layout was well-thought-out and very functional with plenty of glass and great forward visibility particularly thanks to the sloping bonnet, altogether making it an ideal loader tractor. Deutz are the only other brand offering anything anywhere near as good in this area at present. The reach and tilt adjustable steering column is pretty standard but getting the right driving position does certainly help for long days behind the wheel. 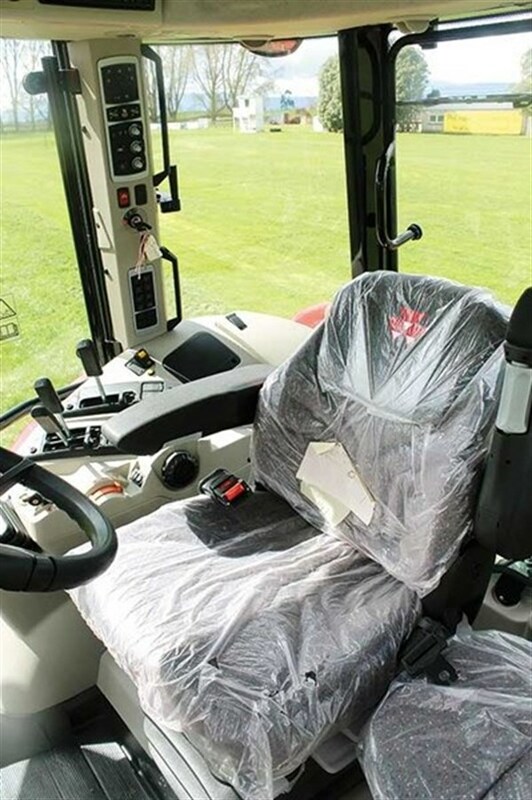 All functions on the 5600 Series tractors are displayed in the centre dash/console, keeping things basic, suiting the target market for these machines. 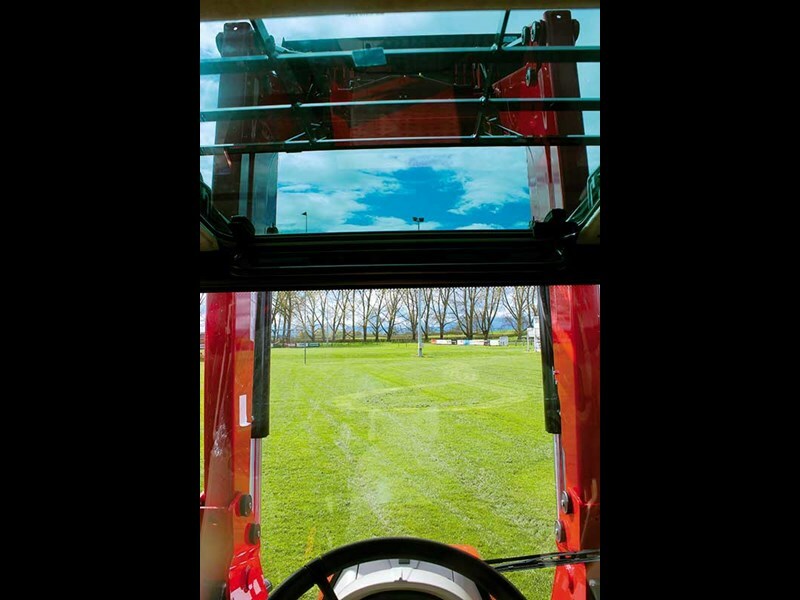 It’s hard to fault the build quality of the Massey Ferguson which has been proven over the decades, and this trait continues with the 5600 series. It continues on the aggressive styling that the smaller and bigger members of the Massey family present but with its more prominent sloping bonnet. Manufactured in Beauvais, France, Massey Ferguson has turned out some 870,000 tractors since opening in 1960. After significant investment in the factory over the past five years it can now produce an impressive 90 tractors a day. 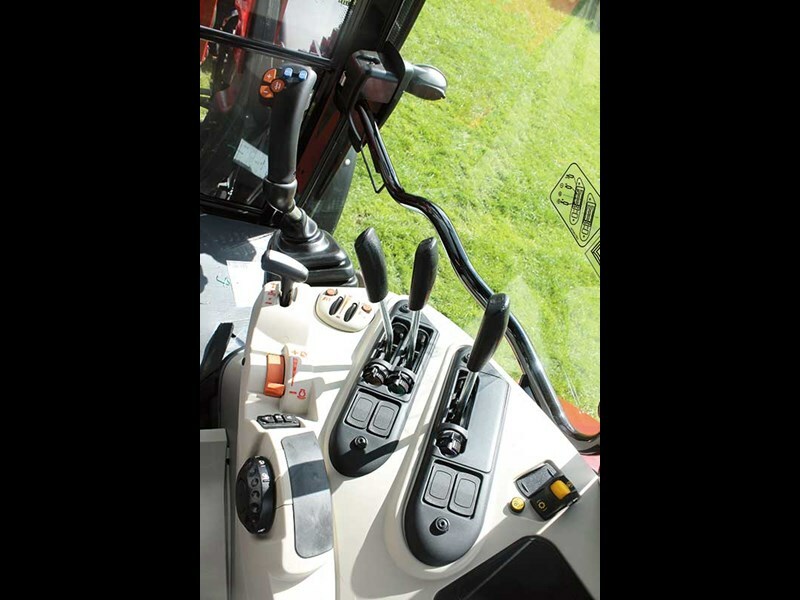 The three mechanical rear remotes are standard (one extra optional) with standard flow rates of 58L/min and 32L/min for steering/PTO/difflock function etc. Efficient models offer greater flow rates and with closed or open centre options. 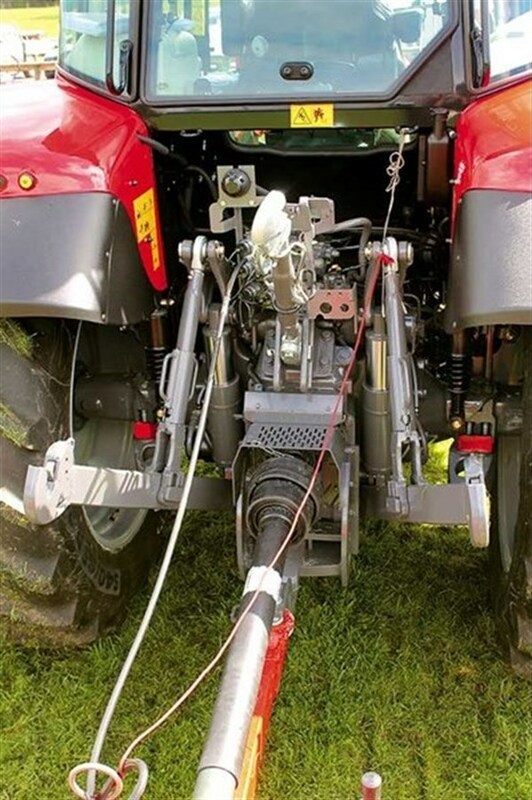 There are twin lift rams to hoist the maximum 5200kg the rear linkage is capable of. Controls of the linkage are electronically controlled with raise/lower on both rear guards also. 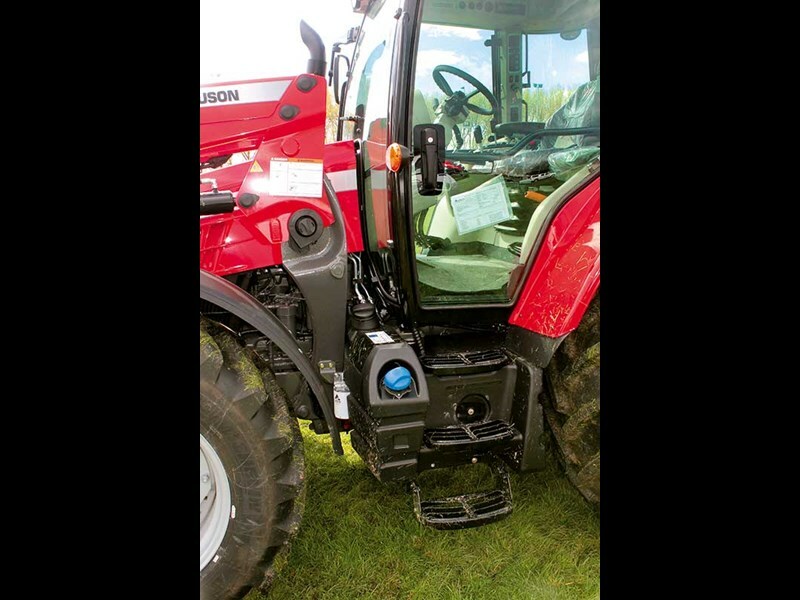 Like all tractor manufacturers you can specify your Massey with what features you want. The four-cylinder 5611 and 5612 can be kitted with both cab and front suspension. 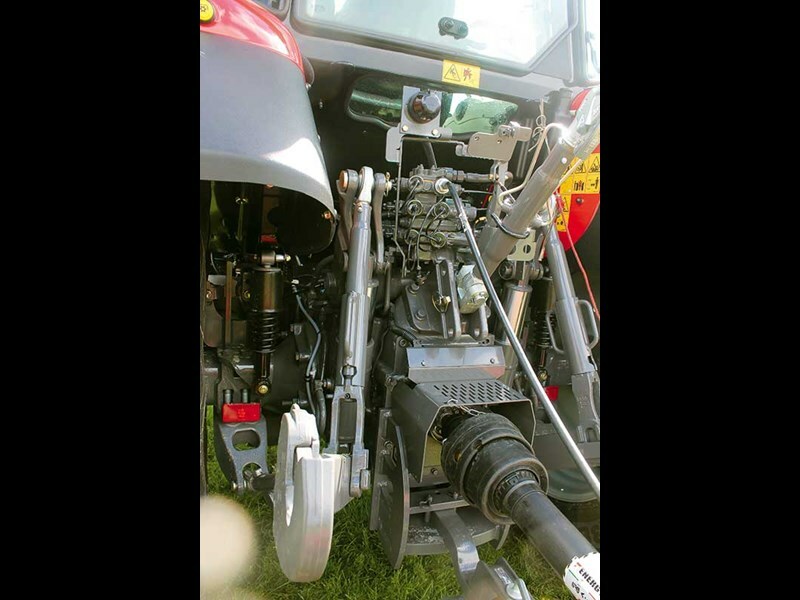 Front linkage and PTO are another option available. So whatever you need or want, I’m sure Massey Ferguson can provide it. On the farm I work on, the owner has a range of Massey Ferguson’s including a TEA and it’s almost as old as Sir Ed’s, so I have a fair idea about this brand. I think any tractor from the Massey 5600 series would make a great addition to any farmer’s shed.